Do you have an unfinished basement where you hoard old storage boxes covered in dust? Has your basement simply become a place full of old artifacts and other stuff you've collected over the years? Don't worry, you're not alone. Most people don’t use their unfinished basement space very effectively. And just like everyone else, you've probably thought of basement remodeling at some point or another, right? Well...let's face it... basement remodeling might not be the cheapest of options when you consider renovating. It's still important to remember, however, that with some essential remodeling expertise, NOT overspending, and a bit of cost-cutting, you can still create the basement of your dreams without spending ridiculous amounts of money! There are 3 different types of basement remodeling tiers, each coming in a different price range, each adding their own value to your home. Depending on the space you have, your overall basement remodeling price will differ, as will your overall return on investment. This type of basement has an atrium or sliding glass door. This offers a great view and sufficient natural light. Because of this, it doesn't feel much like a basement. It is also the most valuable type of basement. A walk out basement offers the opportunity to access patios, outdoor pools, and garden landscapes. Due to the grade of land, certain basements won't allow for a door. They may still allow for natural light in through windows. Though not as attractive as a walk out area, the natural light won't leave you feeling like you're under the house if utilized correctly. This type fits into the lower value tier as it usually only features one small window. Four concrete walls are what you have to work with. When you are just starting out with your basement remodel, take the time to research and plan. There is almost an infinite number of home improvement ideas out there, so don't be in a hurry to find the perfect budget-friendly solution for your unique requirements. Collect ideas wherever you can. Go to trade shows and browse around thrift stores to find affordable pieces of furniture you might want to repurpose. Don't forget to hunt for good deals online and sell whatever you can from your basement to raise money for your new project. There's no need to hold on to old toys, old clothes, TV sets and other stuff that you simply haven't used for longer than a year. You will soon realize that, just by being a little bit patient and taking the time to plan, you will easily be able to identify several ways of saving on your basement remodeling project. What is the value of your home's downstairs area? One way to avoid that over-investing is to keep in mind that, on average, underground areas have an appraised value of about half the area above it. For example, a home valued at $400 per sq ft above is generally worth around $200per sq ft below. When calculating your budget, don't spend more than 5 - 10% of your home's total value on your basement remodel. If repayments aren't an issue, you can always splurge on a home gym, billiards, bar area, sauna, and spa bathroom with an outdoor pool and kitchen area. If you are worried about payback, however, try to appeal to a wide base of potential home buyers when planning your basement remodel. Open spaces, family rooms, and home office areas are always a smart and more cost-effective investment. 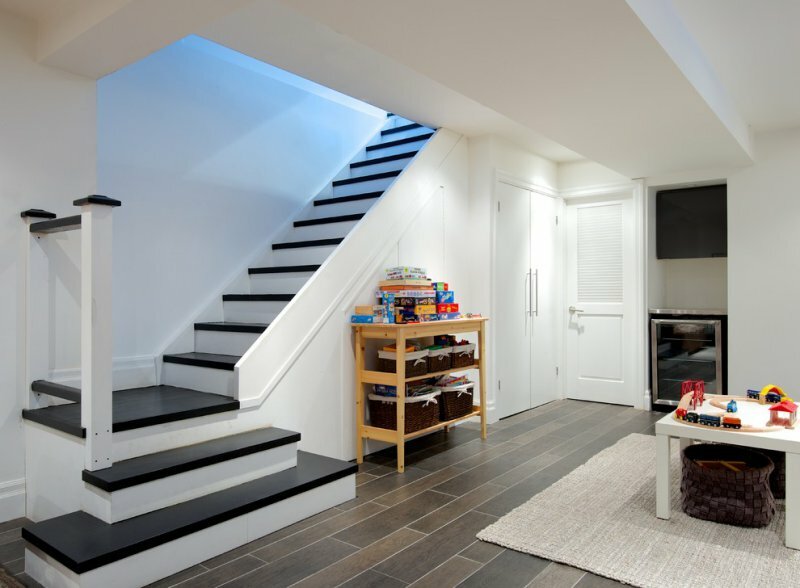 To stay within your budget when you are planning a basement remodel you have to take absolutely everything into account, even the staircase. So don't rush into this project without ensuring you've exhausted all avenues available to you. With some good planning you will be able to recoup your costs. Pay attention to the placement of various basement activities when you’re laying out your space. Certain rooms simply lend themselves better to an inexpensive remodel. Other living areas may require new furniture, finished walls, ceilings, or even a heating system for extended periods throughout the year. Adding walls can be costly too, so why not open up the area instead? Consider remodeling your basement for a simpler purpose, like a playroom or a workshop. Having an office and gym area separated by walls will require builders, doors, and the installation of multiple electrical outlets - which all adds up in a big way. The most important benefits and features, like space and natural light, will also be lost or limited by more walls. If you plan to remove walls, however, be mindful of circuit breakers and plumbing pipes. You may need to access them in the future. It would be wise to consult with an architect or structural engineer, because opening up your space, although more budget-friendly, could compromise the home's structure if you remove a load bearing wall. Besides the value that a remodeled basement adds to your home for potential buyers, a new workshop could serve as an extra space to tackle a new money-making venture for some extra income that will help you recoup your costs. A new office space will also be a welcome deductible when tax season comes around. Cement floors, exposed pipes, and ductwork along the ceiling might represent a significant problem. You can always paint them as a cost-effective, DIY solution. However, always keep in mind that painting takes some time and preparation, so getting a FREE estimate on some interior painting won't hurt. Painted floors have the ability to add warmth and contrast. You can transform your basement at a fraction of the cost by simply painting the floor a solid color. If you have the time, you can even do a checkered or stenciled design. Basement walls will require treatment during a basement remodel. If you opt for hanging drywall, remember that you will have to hire a professional. Instead, why not paint a cinder block wall as a much faster and more economical option to help to create a more finished appearance. Cinder block will need several coats due to the porous nature of the material, however, and it will not provide any insulation either. If you want to remain within your budget, don't choose the best tiles available on the market. This is the perfect example of where you can cut corners without losing the aesthetic appeal. Use cheaper tiles which look similar to the expensive ones. Most people will not know the difference once you have ceramic tile installed. On average, ceramic tiling costs $2 - $8 per sq ft on materials and installation. When compared to porcelain or stone, ceramic tiles can be anywhere between 30 - 50% cheaper per square foot! If you prefer carpeting, why not consider using carpet tiles then? You can still enjoy a luxurious feel by using a quality pad underneath. They are warmer than vinyl and much cheaper to replace in sections. When planning your new roof, you can also opt for a drop ceiling with foam panels and fluorescent lights, which will come in much cheaper than a drywall ceiling. Remember that ceilings are required by law to be 7 foot high or more. And don't forget, soundproofing any HVAC or wooden floors above would be a wise choice. Gas fireplaces, radiant heating, furnaces, and air conditioning systems may only have been installed to cover the upper floors of your home and not the basement. If you will be using the area a lot, you're going to want to keep it nice and toasty. Be sure to get an efficient heating system if you want to create the most comfortable downstairs environment. If you don't have the correct size heating for the area, you may end up reducing the unit's lifespan or it could even become highly inefficient, increasing utility costs. The best option would be to add another separate unit or expand the current HVAC setup. Installing a furnace is always a popular option and you could spend, on average, between $2,000 and $7,000. It's most important to consult with a local professional when it comes to your particular basement's heating options. Get your heating and cooling options right the first time, and you will end up saving valuable dollars in the long run! It's unfortunate, but many basements eventually start to show signs of moisture. Basements are notorious for this, so why not make use of french drains or sump pumps. On a national average, installing a french drainage system typically costs around $3,200, and a sump pump installation around $900. Depending on the type of leak and damage assessment, the cost to waterproof a basement by a professional could cost up to $15,000. The average American homeowner's cost to remodel a basement comes in anywhere between $5,000 and $50,000. How much are you actually willing to spend? Time is also an important factor. How long is your remodel actually going to take? Changing walls and stairways will not only take time but will require building permits and professional assistance from builders too. Unexpected problems may also arise which would delay plans and require further resources. 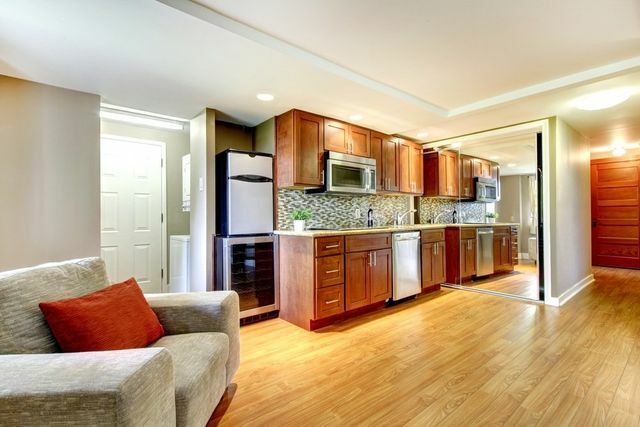 You should always take the legal requirements of a basement remodel into consideration. Plan ahead for these and you could save yourself a lot of time, money, and headaches. If your basement remodel includes a new living space like bedrooms, bathrooms, and laundry rooms, then your remodel will be governed by the International Residential Code (IRC). Basement rooms also require escape exits, so you will likely need to install a door or egress window. Multiple rooms will each require their own exit. The best part of a basement remodel is being able to add your own unique personal touch to the area, but over personalizing could make selling your home a bit difficult. This is important to keep in mind when designing the basement interior and layout. Areas across the U.S have varying ROI rates for basement remodeling and finishing. 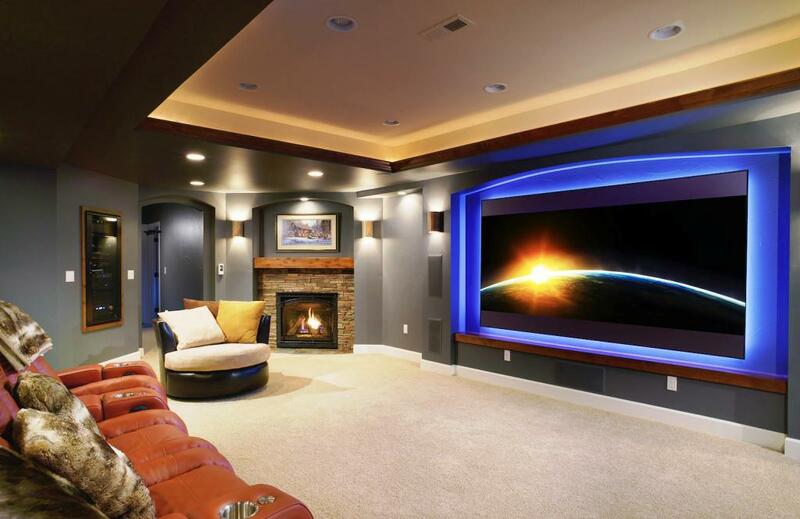 The most important thing you can do to ensure you remodel your basement on a budget and get the best ROI is to keep it general and available for multiple uses. This will ensure flexibility and an easier sell as it generally appeals to more potential home buyers. IF you would like to reach out to a professional basement remodeling professional for some expert advice, why not request a free estimate from a local contractor. To do so now, simply enter your home zip code into the form provided on this page. Basement remodeling experts are standing by now to help answer any questions you may have about your particular remodel and provide a quote on the cost to remodel a basement according to your specific requirements.